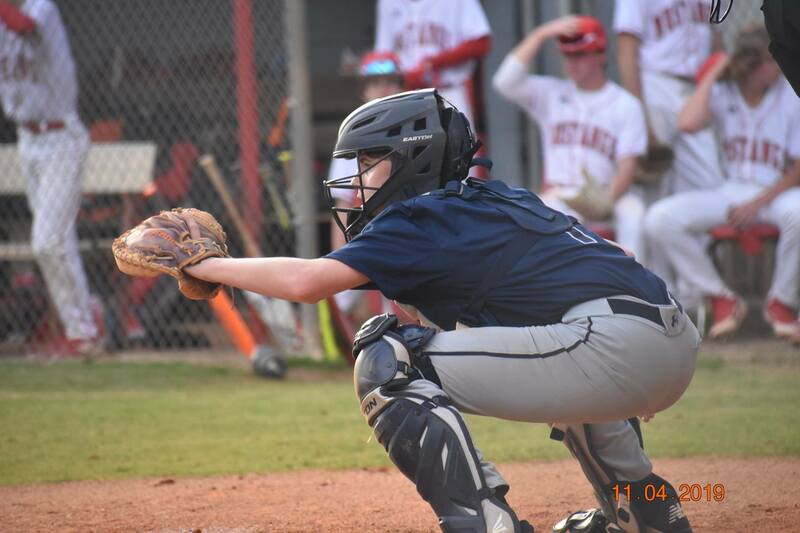 Powdersville JV Baseball wrapped up their season with their final game at Palmetto on Thursday, April 11, 2019. Patriots tied the score 3-3 at the top of the fifth, then Mustangs had two big offensive innings to win 5-3. Eighth-grade Eli Hudgens and seventh-grader Braden Williams hit singles for the Patriots. Sophomore Kyle Peters, eighth-grader Collin Wendorff, and Williams combined efforts on the mound. Powdersville JV Baseball finished the season with 3-9 overall and 1-4 region records. “We had a good JV season with many very young guys getting a ton of experience,” commented JV Coach Wade Pagett. “We are excited about what the future holds for these young men with their continued hard work.” Way to go, Patriots! We are so proud of your progress. Best wishes to these young men as they move on to summer leagues and preparations for fall sports. Looking forward to seeing you lighting up a Patriot diamond next spring! #MakingHistoryEverySeason! #GoPatriots!